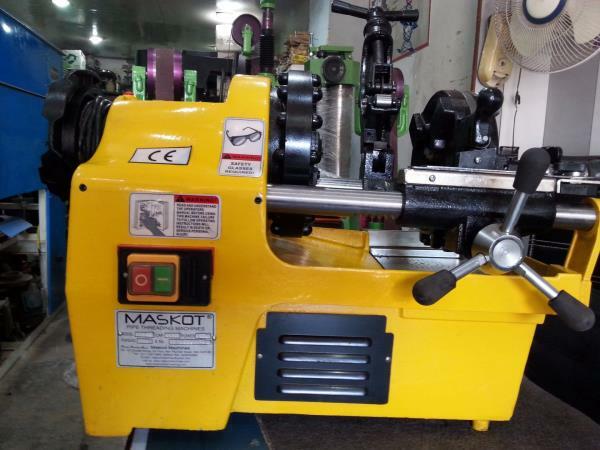 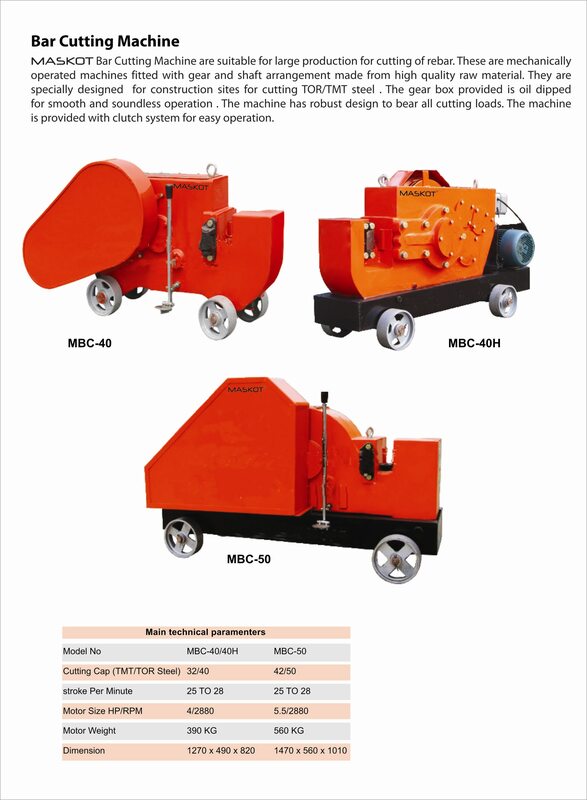 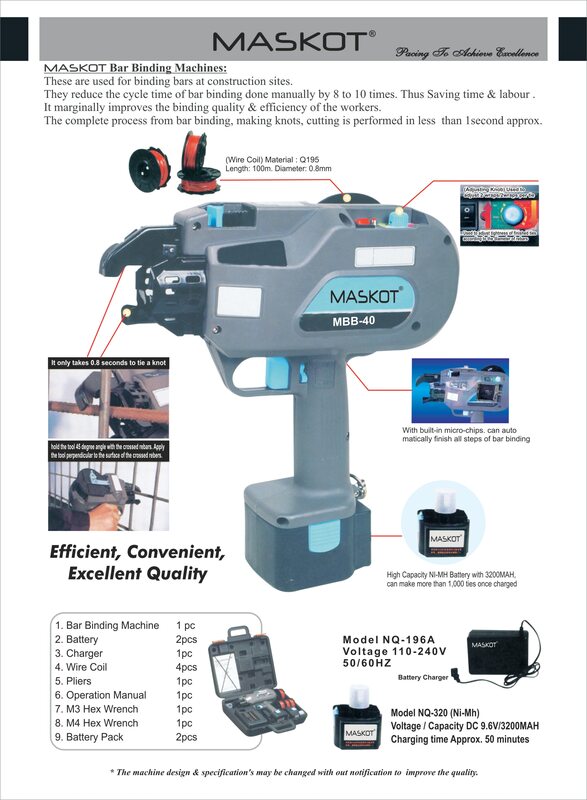 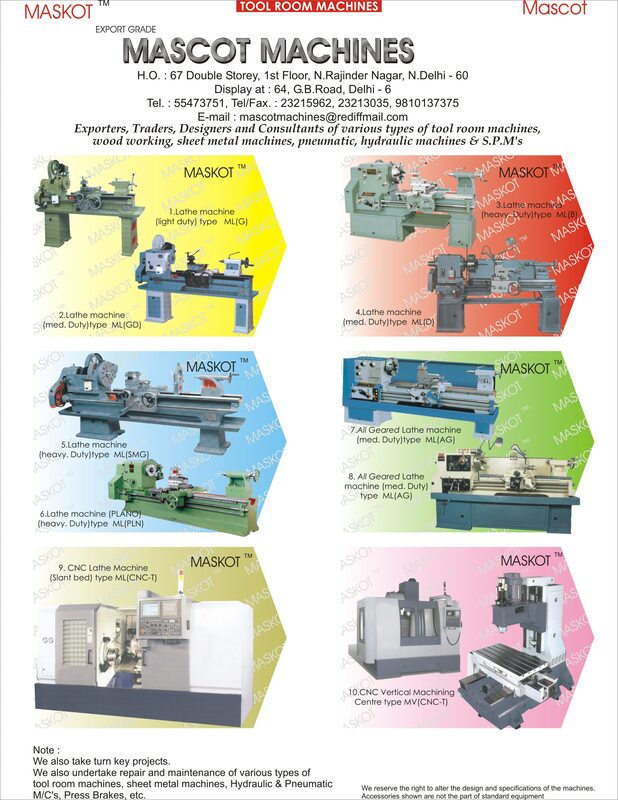 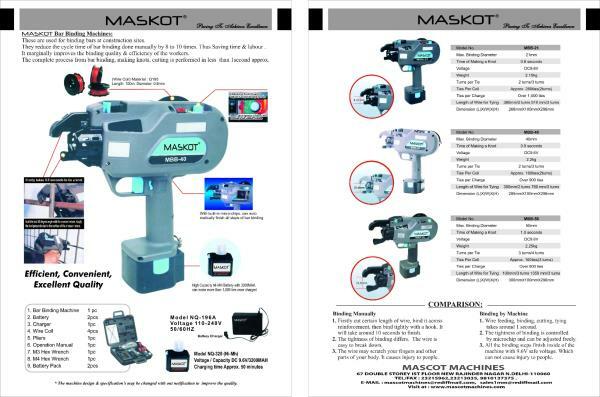 Mascot Machines is well known in the market for manufacturing, supplying, exporting and trading a wide range of products such as Hydraulic Machine, Construction Machine, Packing Machine, Sheet Metal Machine, Drilling Machine, Tapping & Threading Machine, Press Brake Machine, Tool Room Machine and Bailing Press Machine, and many more. 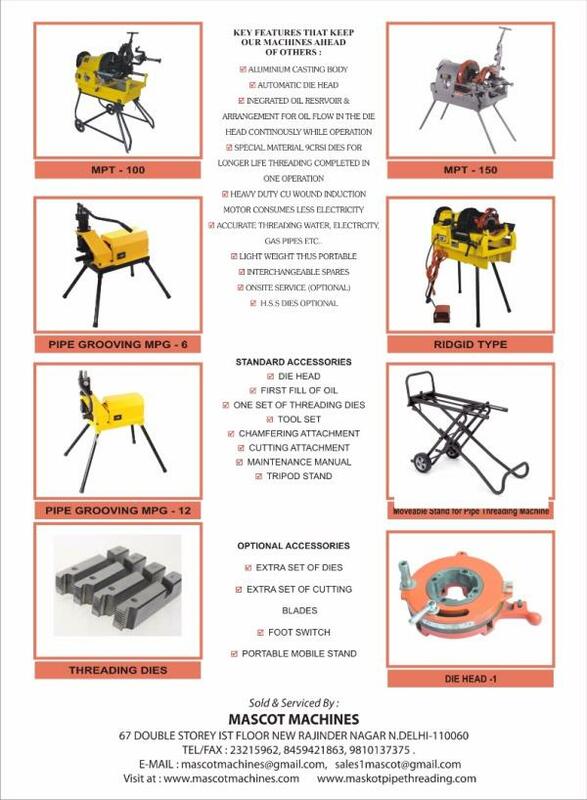 These products are made keeping in mind the necessities of our valued patrons. 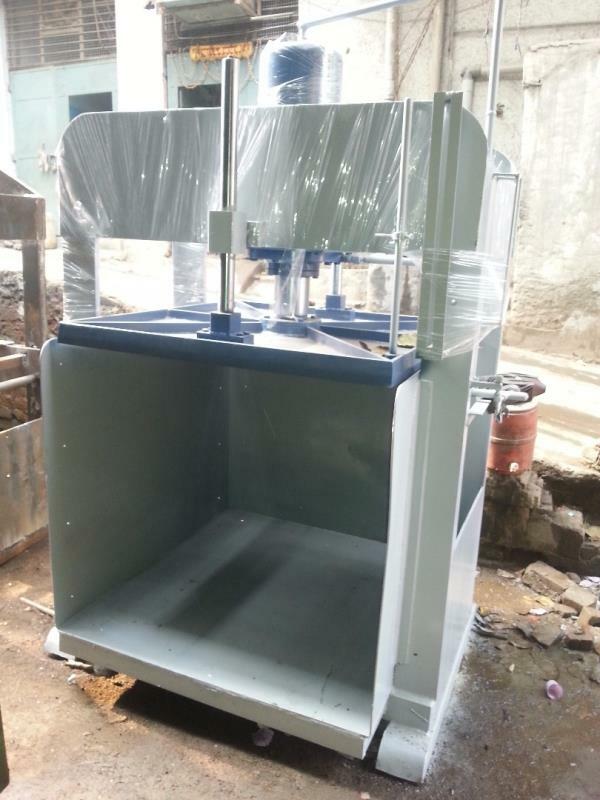 Our offered products are made at our end utilizing the reliable component which is obtained from reliable retailers of market. 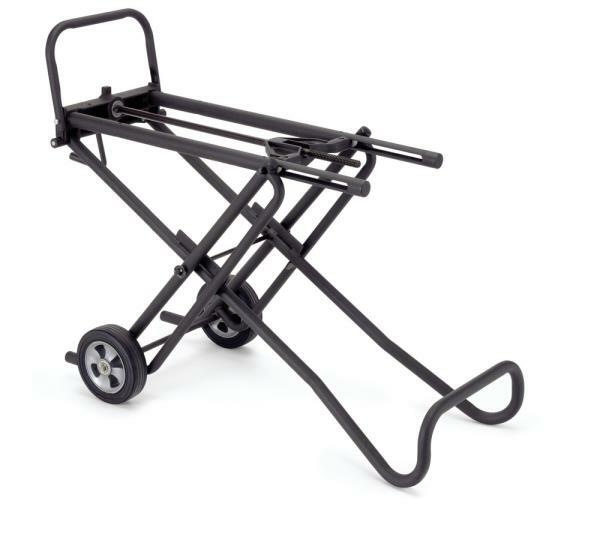 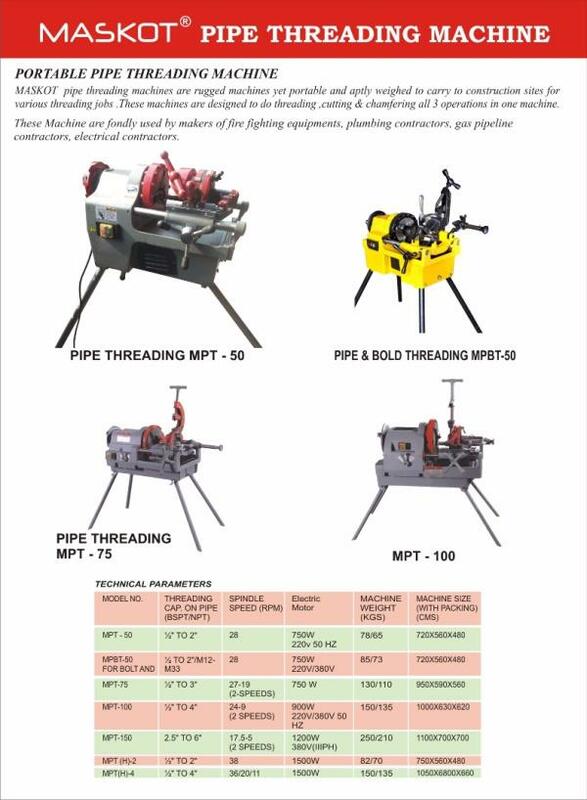 Moreover, we have appointed expert’s team to develop our offered products according universal industry standards. 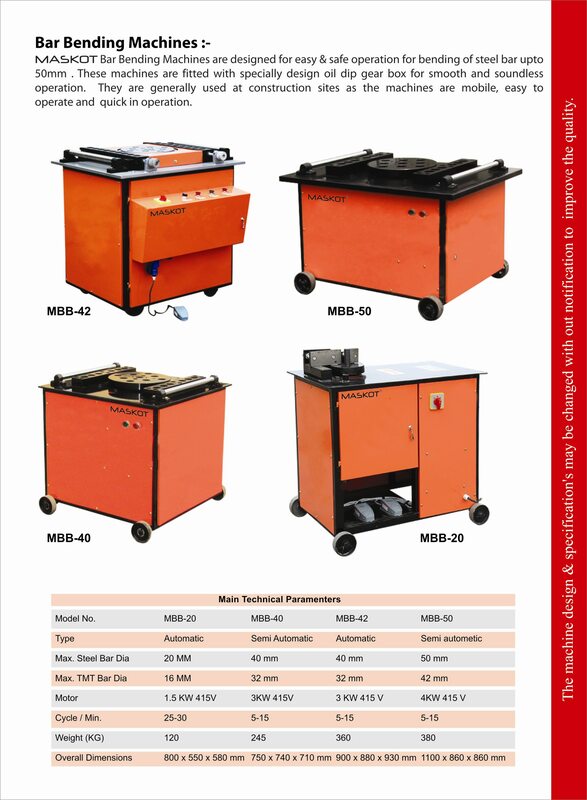 In addition, our quality professionals also check these products on numerous industry parameters. 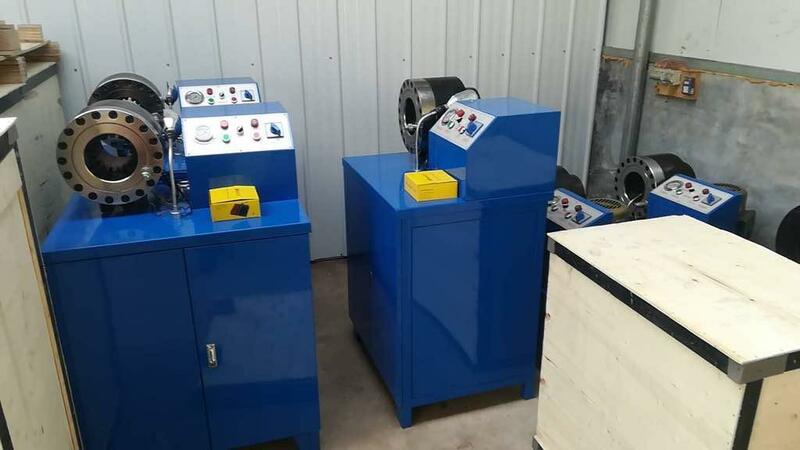 Apart from, we have advanced manufacturing unit, which is embedded with sophisticated machines to develop our products with all prerequisite characteristics. 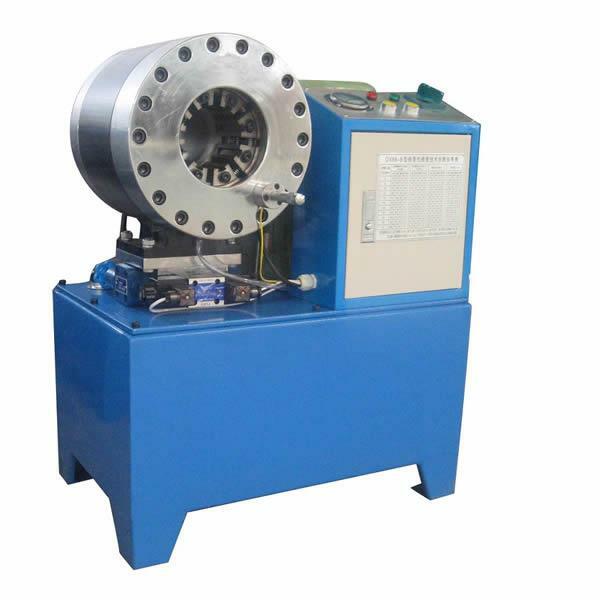 Our products are highly praised in the market for their compact design, dimensional accuracy, top performance, strong construction, longer working services and low rate. 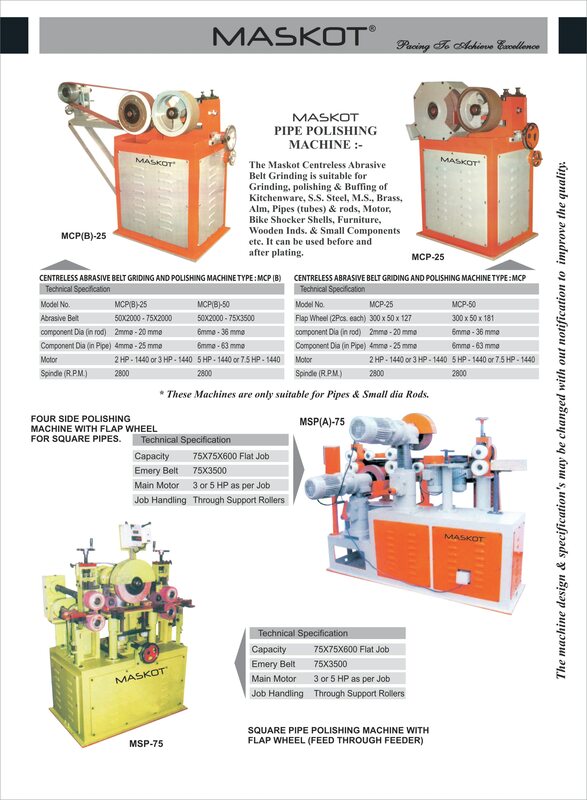 We are dealers of Machless. 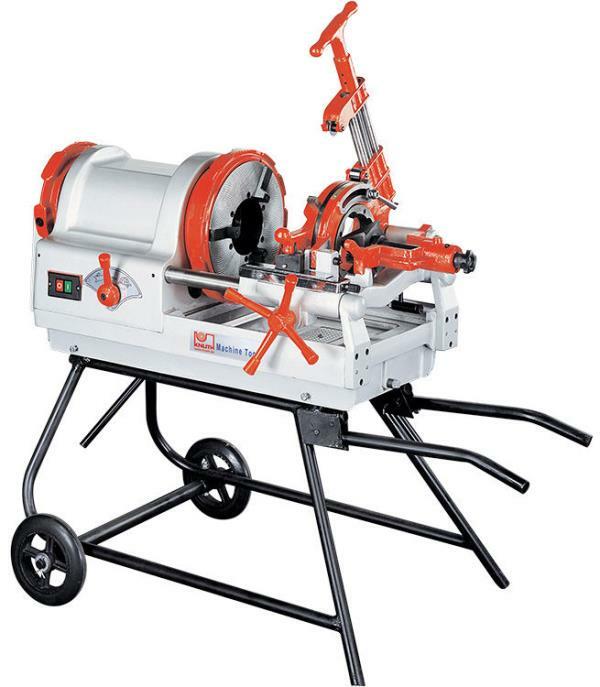 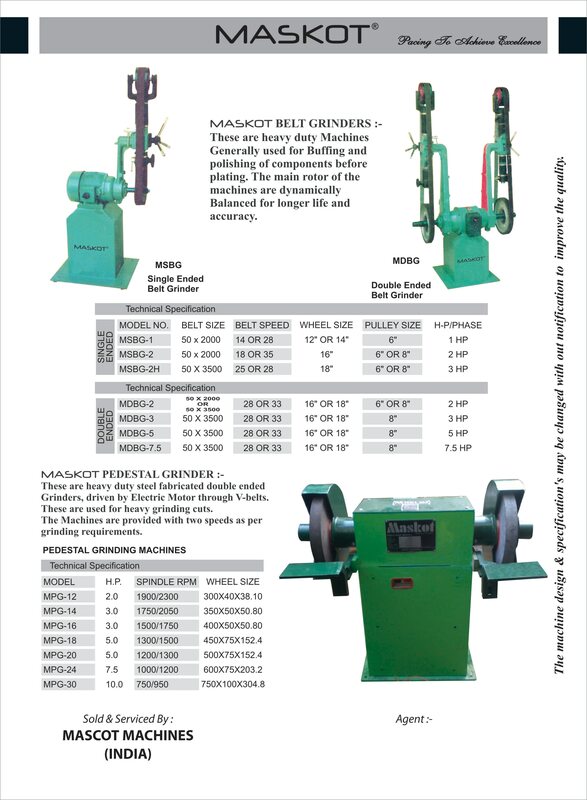 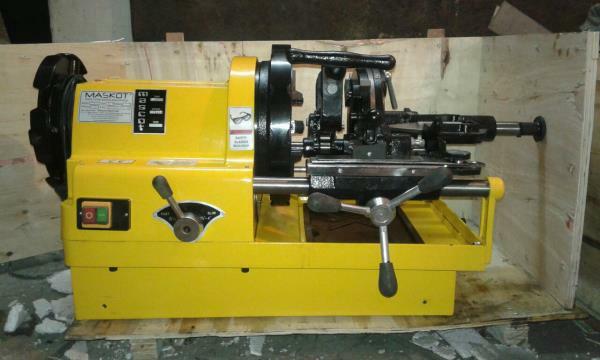 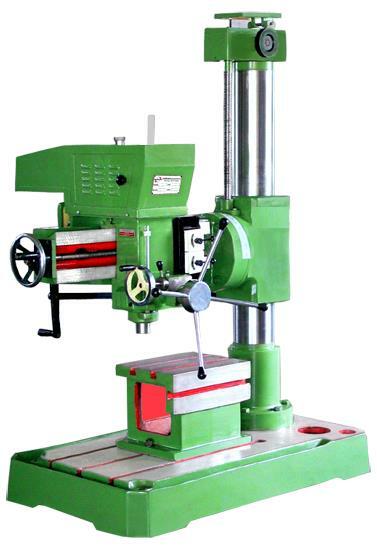 drilling machines ,MASKOT belt grinders,pipe threading machines. 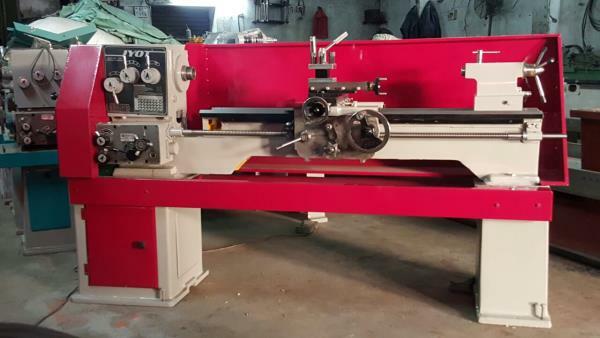 Bar Bending Manufacturer In Delhi, Bar Cutting machine Manufacturer In Delhi, Bar Bending Machine Manufacturer In Faridabad, Bar Cutting Machine Manufacturer In India, Lathe Machine Manufacturer In Delhi, Lathe Machine Manufacturer In Faridabad, Lathe Machine Manufacturer In India.